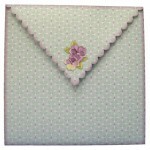 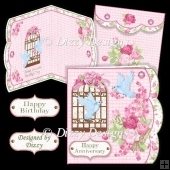 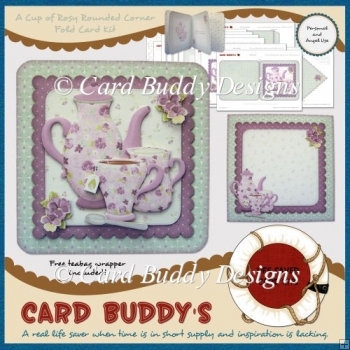 This cheerful rounded corner card has a homely feel. 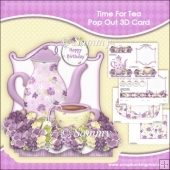 It’s suitable for almost any occasion and it’s quick and easy to make. 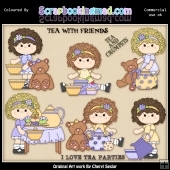 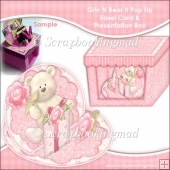 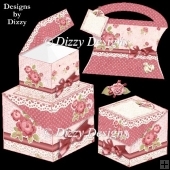 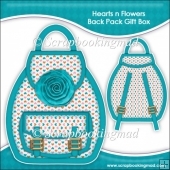 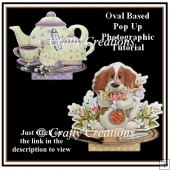 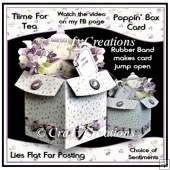 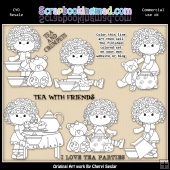 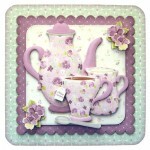 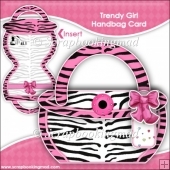 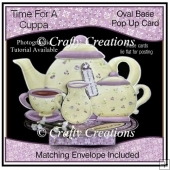 A matching free tea bag wrapper is also included in this set so you can send a token gift along with the card. 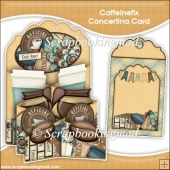 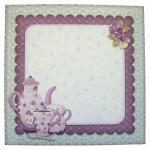 This is a versatile multi-use kit which comes with seventeen different sweet little sentiment/recipient panels (plus a blank one) which can be substituted for the decorative tea bag tag hanging over the side of the cup. 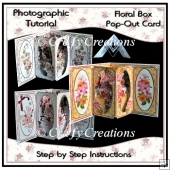 Four different inserts are also included. 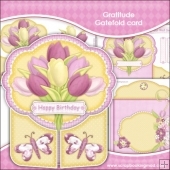 It is suitable for many different occassions, including: Birthdays; Mother’s Day; saying thank you; sending get well wishes or condolences; or just saying hello or telling someone you are thinking of them. 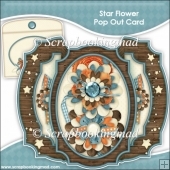 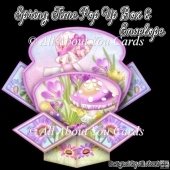 The card can be left unlayered and used as a quick card; you can just layer the topper panel; or you can add the optional decoupage layers that are included as well. 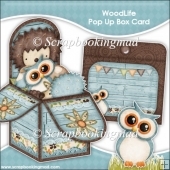 You choose how you want to make it up. 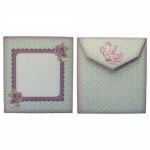 It comes with a matching envelope but it is also designed to fit a standard 6x6 inch envelope if you only want to make the card. 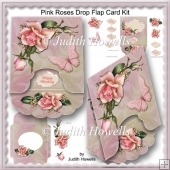 This kit contains eleven different sheets and step by step instructions are included on each of the sheets. 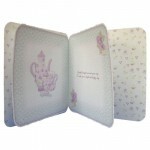 All sheets are 300dpi, high resolution sheets, for quality printing.